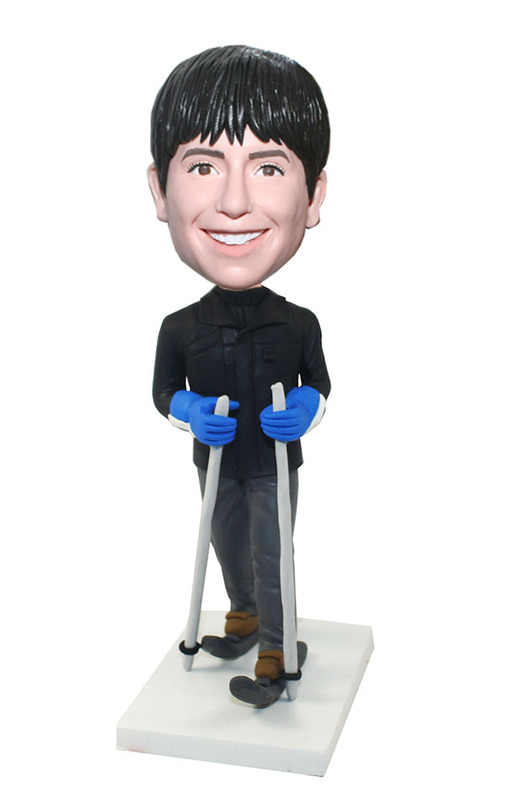 Skiing fans must like this Custom Bobbleheads,This skiing bobble heads is a outstanding design by our artists. This statue features skiing athletes taking an action to ski. We know that skiing fans like to see them in their favorite team's jersey. 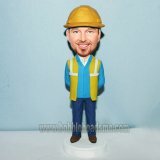 In Topbobble, we can also make you a customized bobblehead with your favorite team jersey. 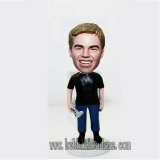 If your friend is a skiing fan, this customized bobblehead is most suitable for his as a gift. 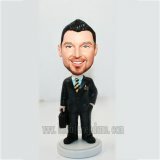 We believe that he'll love to see himself in his favorite team wear, especially when his head is always bobbling. From the view of this professional action, he looks like a skiing expert.